Eleanore Christensen passed away on November 9, 2018 just shy of her 98th birthday. She was a lifelong resident of Chetek, WI and filled her life with family and friends. Eleanore was one of seven children born to John and Josephine Severson. Later, she married Milne Hansen and together they had a son, Robert Hansen. Following Milne’s death, Eleanore married her second husband, Jim Christensen. Eleanore enjoyed her time bowling and golfing with friends on various leagues. She was known to never turn down a good game of cards. Chetek Lutheran Church meant a great deal to Eleanore. She enjoyed spending time volunteering there as well as the many friends she made as a lifelong member. Eleanore had the great fortune of traveling around the United States and abroad with Jim and various friends. Family and friends were most important to Eleanore. She enjoyed the company of her siblings and their families throughout the years. No one did more for Eleanore then her son, Robert, who despite living hundreds of miles away, visited frequently. She enjoyed spending time with her granddaughters, Carrie and Cristie, but the most joy came from her five great grandchildren. Eleanore is survived by her sister, Joyce Jensen, her granddaughters Carrie (Brian) Stearns and Cristie (Eric) Fredrickson and her great grandchildren Henry and Evelyn Stearns and Leona, Adalena and Elijah Fredrickson. She is preceded in death by her husband Milne Hansen, her husband Jim Christensen, her son, Robert Hansen and her siblings, Henry, Marvin, Palmer, Vernon and Dorothy. Thank you to the staff of Atrium of Chetek, Marshfield Medical Center and Lakeview Medical Center Hospice. Eleanore lived life to its fullest and will be missed by all who knew her. As an expression of sympathy, memorial contributions may be sent to the Chetek Lutheran Church. A Memorial Service will be held on Friday, November 16, 2018 at 11:00 A.M. at the Chetek Lutheran Church with Pastor Guy Redfield officiating. 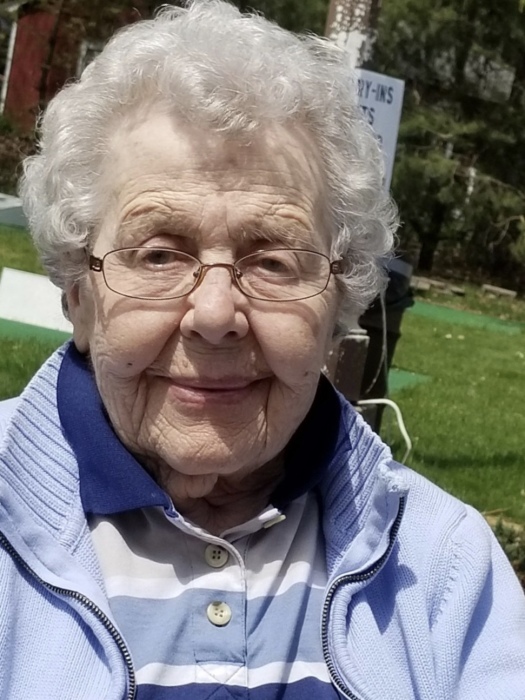 Eleanore's family will greet visitors at the church beginning at 10:00 A.M. She will be laid to rest at the Lakeview Cemetery in Chetek following the service. Please join the family at church for continued fellowship and a warm lunch following the cemetery service.